Has a daughter named Lucia..Attended Sofia Benitez High School in the Dominican Republic...Follow him on Twitter (@NefFeliz). Split the season between Milwaukee and Kansas City, combining to go 2-5 with a 5.48 ERA in 49 appearances...Held opponents to a .234 average, including a .182 mark in close and late situations...Signed by the Brewers as a free agent on Jan. 19 and was designated for assignment on June 14 and released on June 19...signed with the Royals on June 23...Posted a 2.25 ERA in 16 games from June 27-Aug. 6...On disabled list from Aug. 18 until his release on Sept. 1 with right elbow nerve palsy. Began season with Texas and recorded a save in his first appearance on 4/7 at Oakland...Appeared in 200th Major League game on 4/10 vs. Houston...Picked up his lone win with Texas on 4/26 at Los Angeles (AL)...Recorded saves in three consecutive outings from 5/4-10... Was placed on the 15-day disabled list on 5/25 due to an axillary abscess on his right side...Was on a rehab assignment with Triple-A Round Rock from 6/6 to 7/2...Was reinstated from the D.L. on 7/2 and made final appearance with Texas on 7/3 vs. Los Angeles (AL)...Was designated for assignment on 7/4 and declared free agency on 7/10...Was signed by Detroit as a free agent on 7/11...Gave up season-high tying five runs and suffered loss on 7/21 vs. Seattle...Earned first save with the Tigers on 8/15 at Houston... Picked up saves in three straight appearances from 9/23-28...Went 3-4 with 10 saves (17 opportunities) and a 6.28 ERA (48.0ip/34er) in 48 games between Texas and Detroit. Spent final 2 months of the season with the Rangers and was 2nd on the staff in saves (13) and games finished (22)...posted the 2nd lowest ERA (1.99) among all Texas pitchers with at least 30.0 IP...earned 13 saves in 14 opportunities, a 92.9% success rate that ranked 3rd in the A.L. among all closers with at least 10 saves tries...issued runs in 5 of 30 appearances and permitted 7 1st batters to reach base...allowed 4 of 10 IR to score...opponents batted .183, .127 vs. LHB and .241 vs. RHB...posted a 0.95 ERA (2 ER/19.0 IP) in 17 home contests, ending year with 14.1 scoreless frames in final 14 games at Globe Life Park...of 7 total runs allowed, 6 were a result of 5 HR. Joined the Rangers as a September call-up following season-long rehab after elbow surgery in 2012 and posted no record with 4.2 scoreless innings over 6 appearances the rest of the way…went 1-1 with a 2.79 ERA (3 ER/9.2 IP) in 10 appearances for Toros del Este in the Dominican Winter League. After 2 seasons as the Texas closer, Feliz was part of the Opening Day starting rotation, going 3-1 with a 3.16 ERA (15 ER/42.2 IP) in 8 games/7 starts before the elbow injury...held opponents to a .187 average (28-150), which ranked 6th-lowest in the majors and 2nd-lowest in the A.L. at the time of his final appearance of the season...LHB hit just .173 (14-81) with 3 HR, with RHB at .203 (14-69) with 2 HR...did not allow an extra-base hit in a 2-strike count all year...issued multiple walks in all 7 starts...Rangers were 5-2 in his starts...had 4 quality starts...made just 2 starts in Arlington, and won both outings...exited spring training start on March 20 in Mesa with right shoulder stiffness, which proved to be routine...next start was a minor league game (March 27), and his final spring outing was March 31 at CLE in Goodyear...SUMMARY: Permitted 4 hits over 7.0 scoreless innings to win first career ML start, April 10 vs. Seattle...was the longest scoreless effort in a first ML start by a Ranger since Brian Sikorski (7.0 IP on 8/16/00 vs. NYY), with only Steve Comer logging more shutout innings as a Ranger in a first ML start (9.0 IP on 7/17/78 at BAL)...held Seattle hitters to 0-for-58 stretch to start his career before a 2-out single by Justin Smoak in the 4th inning of that initial start...allowed just 3 hits in an 8.0-inning CG loss April 21 at Detroit (N) in his 3rd ML start, the fewest starts by a Ranger for his first CG since Kevin Brown went the distance to win his 2nd ML start and appearance, Sept. 14, 1988 at Oakland...Feliz had a career-high 119 pitches in that CG loss, and made his lone relief appearance of the year 4 days later on April 25 vs. NYY (1.0 IP, 1 R-ER)...registered a career-high 8 K's in win May 8 at Baltimore (Josh Hamilton's 4-HR game)...beat the Angels with 2 runs over 6.0 innings in his next start, May 13 vs. LAA...in his final start on May 18 at Houston, held the Astros to one run in 4.2 innings but issued 5 walks in a no-decision...went 0-for-2 in his only career plate appearances in that game, a strikeout and fielder's choice against Wandy Rodriguez...SAVES: Has converted 74 of 84 career save opportunities, an 88.1% success rate that is the best in club history among relievers with at least 50 save attempts...ranks 4th overall on team's all-time list in saves...his 72 saves in 2010-11 were tied for 6thmost in the A.L....with 40 saves in 2010 and 32 in 2011, is one of 4 pitchers in Texas history with multiple 30-save seasons, joining John Wetteland (4), Jeff Russell (2), and Francisco Cordero (2)...Wetteland (1997-2000) and Cordero (2004-05) also accomplished that feat in consecutive years...only other A.L. closers with 30+ saves in both 2010 and 2011 were Mariano Rivera and Jonathan Papelbon...at 23 years, 5 months, was the youngest pitcher in baseball history to record multiple 30-save seasons, the previous being the Angels' Francisco Rodriguez (2005-06)...has converted 29 of 30 career save tries vs. the A.L. West, going 15-for-15 vs. the Angels and 9-for-9 against the Mariners...is 30-for-37 in save tries at home and 44-for-47 on the road....converted 25 straight road saves between blown saves on Sept. 8, 2009 at Cleveland and May 18, 2011 at Kansas City.Was successful on 32 of 38 save chances in 2011...tied for 5th in the A.L. in saves, T6th in blown saves (6), and was 7th in save percentage (84.2%)...blown save chances May 18-19 at Kansas City ended a string of 19 consecutive save conversions in the regular season since last blown save on August 11, 2010 vs. the Yankees, the 2nd-longest of his career...only save of more than 1.0 inning was 4-out save on April 10 at Baltimore...converted all 15 save tries vs. the A.L. West.His 40 saves in 2010 ranked 3rd in the A.L., matched the 4th-highest single-season total in club history and broke the previous rookie mark of 37 set by Seattle's Kazuhiro Sasaki in 2000...mark was surpassed by Atlanta's Craig Kimbrel (46) in 2011...was the youngest pitcher ever to record at least 30 saves in a season...had just 3 blown saves for a 93.0% success rate, 3rd-best in A.L., 5th in majors, and the highest figure ever by a rookie (minimum 25 save chances)...converted career-best 20 consecutive save tries from May 17-July 31, 2010, which remains the 3rd-longest single season streak in Rangers history...was successful on all 22 save opportunities on the road...converted all 10 save tries against the Angels, a club record for saves in a season vs. one opponent, one shy of the ML mark...saved all 3 games, June 15-17 at Florida, first Ranger with saves in 3 straight games since Frank Francisco, Sept. 1 (DH)-2, 2009...earned save on 22nd birthday, May 2 at Seattle, the 5th time that a Ranger has saved a game on his birthday...EARNED RUN AVERAGE: His 2.67 career ERA is the 2nd-lowest in team history among pitchers with at least 200.0 lifetime innings with the Rangers, behind only Jim Kern (2.59)...that is the 11th-lowest mark in the majors over the last 4 seasons (2009-12) among pitchers at a minimum of 200.0 innings...career 2.04 (23 ER/101.1 IP) road ERA is 5th-lowest in the majors since at least 1946 (100.0+ IP)...lifetime ERA at Rangers Ballpark in Arlington is 3.29 (38 ER/104.0 IP) in 90 games/2 starts...has held opponents to .176 career batting average, lowest in majors among pitchers with 200.0 or more innings from 2009-12...STRIKEOUTS: Has fanned 201 batters in 205.1 career innings, an average of 8.81 strikeouts/9.0 innings that ranks as the 6th-best ratio in team history (200.0 or more IP)...averaged 9.87 K/9.0 IP (110 K/100.1 IP) in 2009-10, but had a combined 7.80 (91 K/105.0 IP) figure in 2011-12...had more K's than innings pitched in just 2 of his 7 starts in 2012...POSTSEASON: Has posted a 1.93 ERA (4 ER/18.2 IP) with 23 strikeouts in 18 playoff appearances, all in 2010-11 with Texas...has 7 saves in 8 opportunities, the lone blown save coming in Game 6 of the 2011 World Series...is the Rangers' all-time leader in postseason saves and is tied with Alexi Ogando for first in appearances...was on the mound when Texas clinched each of its 4 all-time postseason series wins...had a 2.38 ERA (3 ER/11.1 IP) in 11 postseason contests in 2011...posted 6 saves, one shy of single-season playoff record....issued one run in 3.0 innings while saving Games 2, 3, and 4 of ALDS vs. Tampa Bay...was 7th pitcher ever with 3 LDS saves, first in A.L. since Yankees' Mariano Rivera in 2000 vs. Oakland...worked 4.1 scoreless innings in 4 ALCS contests against Detroit, saving Game 1 to become 6th pitcher ever with saves in each of 1st 4 outings of a single postseason, 1st since Cleveland's Mike Jackson in 1998...pitched 2.2 scoreless frames in 1st 3 World Series outings vs. St. Louis with saves in Games 2 and 5...surrendered 2-out, 2-run, game-tying triple to David Freese in bottom of the 9th inning of Game 6 at Busch Stadium...compiled a 1.23 ERA (1 ER/7.1 IP) with 11 strikeouts in 7 2010 playoff games...allowed one run in 1.1 innings in 2 ALDS outings, a homer by Carl Crawford in Game 3 before working 6.0 scoreless innings in final 5 playoff games...fanned Yankees' Alex Rodriguez for final out in 6-1 Game 6 victory that clinched the franchise's first-ever A.L. pennant...earned save in Game 3 of the World Series versus San Francisco on October 30 at 22 years, 181 days, the 5th-youngest pitcher to ever have a postseason save. Ranked 4th in the A.L. in games finished (59) and tied for5th in saves (32)...also led the club in appearances (64)...opposing batters hit .194 (42-217), 10th-lowest among qualifying A.L.relievers, with 30 walks and 54 strikeouts...allowed 5 of 16 (31.3%)inherited runners to score...first batters were 13-for-57 (.228) witha HR, 4 doubles, 7 walks and 14 strikeouts...did not allow anearned run in 20 day games (1 R-0 ER in 19.0 IP)...allowed a runin 13 of 64 appearances...issued one run over 12.1 innings his1st 12 outings through May 15 before compiling a 4.85 ERA (16ER/29.2 IP) in next 31 outings, lifting figure to season-high 3.64...beginning Aug. 9, had a 0.89 ERA (2 ER/20.1 IP) his final 21 appearances...pitched 14.1 consecutive scoreless innings over 14games, August 9-Sept. 10. Led the American League with 59 games finished andranked 3rd with 40 saves, the latter being the most ever for a majorleague rookie ... was also among the league relief leaders (50.0 ormore IP) in opponents batting average (3rd, .176), hits per 9.0 innings(4th, 5.58), opponents slugging (4th, .269), opponents onbasepercentage (5th, .246), strikeouts (T6th, 71), innings (10th,69.1), appearances (T10th, 70), and ERA (12th, 2.73) ... had the6th most games finished ever for a ML rookie, tied for 6th most inclub history ... held opponents to a .096 (9-94) average in roadgames in 2010, lowest in majors by 47 points (minimum 25.0 roadinnings) ... was the lowest road average allowed by any pitcher ina season dating to 1952 (25.0+ IP) ... opponents had a.096/.158/.170 line in 28 road appearances ... had .225 opponentsBA at Arlington ... was the only active rookie on the 2010 All-StarGame roster, but did not pitch in the game ... was 3rd youngestRanger ever selected to All-Star team. Feliz was purchased from Oklahoma City (AAA) on August 2 and spent the rest of the year in the majors...went 1-0 with a 1.74ERA (6 ER/31.0 IP) in 20 relief appearances...opponents batted just .124 (13-105) with 2 home runs, 8 walks, and 39 strikeouts...his1.74 earned run was the 5th lowest among all ML pitchers with at least 30.0 innings while his .124 opponents batting average ranked2nd to San Diego's Mike Adams (.111)...fanned 11.32 batters per 9 innings, the A.L. 's 6th-best ratio among all pitchers with 30.0 ormore innings...allowed a run in just 4 of 20 appearances and had 9 holds, 4th-most on the staff...permitted 4 of 18 inherited runnersto score (22.2%) and just 5 of 20 first batters to reach base...finished 3 games...permitted just 4 extra-base hits, 2 home runs alongwith a double and a triple...generated a 0.677 WHIP, 2nd-lowest in the majors (minimum 30.0 IP) behind only Adams (0.595). Split the season between Clinton (A) and Frisco (AA), combining to go 10-6, 2.69 (38 ER/127.1 IP) with 153 strikeouts to 51walks over 27 games/starts...after the season, was named to Baseball America Minor League All-Star Second Team, in addition tobeing named to the Low-A All-Star squad...ranked among Texas organizational leaders in strikeouts (2nd), ERA (3rd), and wins(T5th)...opposition combined to bat just .201 (89-442) with only 3 home runs all year, an average of 0.2 HR-per-9 innings...beganyear with Clinton, where he earned Rangers Minor League Pitcher of the Month honors for May after going 3-0, 0.29 (1 ER/31.1 IP)with 32 strikeouts to just 8 walks over 6 starts...posted career-high 11 K's on June 14 vs. Wisconsin...over his final 5 starts at Clinton,recorded 43 strikeouts in 24.0 innings, retiring 43 of 99 (43.4%) batters faced in that span via the strikeout...earned Midwest LeaguePitcher of the Week honors for June 9-16...named to the West Division roster for the 2008 Midwest League All-Star Game...promotedto Frisco on July 5, skipping Bakersfield (High-A), and finished the season with the RoughRiders...held opponents to a .217 (34-157) average...took no-decision in his Double-A debut on July 7 vs. Arkansas (3 ER/5.0 IP), a 12-5 loss...tossed 5.0 shutout inningsin a combined, rain-shortened no-hitter Aug. 19 at San Antonio...gave up just one home run in 45.1 innings with Frisco...earned TexasLeague Pitcher of the Week honors for Aug. 18-25...made 3 starts in Texas League playoffs, going 2-1, 3.38 (6 ER/16.0 IP) with 5walks and 21 K's, as opposition hit just .196...had 11 K's in Game 2 of semifinal series against San Antonio on Sept. 4...took part ininstructional league in Surprise, Arizona following the season, then worked out at the club's academy in the Dominican Republic...inJanuary 2009, participated in a pitchers camp at Rangers Ballpark. Began the season in the Braves organization with Danville(Rookie)...went 2-0, including his first professional victory on June 25 at Johnson City, with a 1.20 ERA (2 ER/15.0 IP) and 17 strikeoutsover his first 4 appearances (3 starts)...ranked the 4th-best prospect in the Appalachian League by Baseball America...acquiredby the Rangers from Atlanta on July 31, along with C Jarrod Saltalamacchia, INF Elvis Andrus, LHP Matt Harrison and LHP BeauJones, in exchange for INF Mark Teixeira and LHP Ron Mahay...spent the rest of the year with Spokane (A), where he was used primarilyin relief...his debut in Texas system was Aug. 6 vs. Salem-Kaiser...went 75.2 innings before surrendering his first professionalhome run to Darin Holcomb, Aug. 27 vs. Tri-City...struck out all 6 batters faced in his final appearance of the season, Sept. 5 vs.Yakima...ranked as the organization's 5th-best prospect and cited as having the system's best fastball by Baseball America. Spent the entire season with the GCL Braves (Rookie)...went 0-1 with a 1.80 ERA (3 ER/15.0 IP), 21 strikeouts and 6 walks in 5 scatteredstarts...went 0-1 with a 6.43 ERA (10 ER/14.0 IP), 21 strikeouts and 8 walks in 6 relief appearances...earned two 3-inningsaves, Aug. 2 & 12 vs. GCL Phillies...rated as the 8th-best prospect in the GCL by Baseball America. Spent first professionalseason with the Dominican Braves at the age of 17. December 20, 2018 Leones del Escogido placed RHP Neftali Feliz on the reserve list. November 20, 2018 RHP Neftali Feliz assigned to Leones del Escogido. 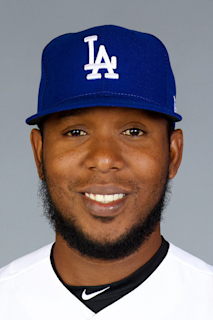 November 2, 2018 RHP Neftali Feliz elected free agency. January 29, 2018 Arizona Diamondbacks signed free agent RHP Neftali Feliz to a minor league contract and invited him to spring training. January 29, 2018 RHP Neftali Feliz assigned to Reno Aces. September 1, 2017 Kansas City Royals released RHP Neftali Feliz. August 19, 2017 Kansas City Royals placed RHP Neftali Feliz on the 10-day disabled list retroactive to August 14, 2017. Right ulnar nerve palsy. July 17, 2017 Kansas City Royals activated RHP Neftali Feliz from the paternity list. July 14, 2017 Kansas City Royals placed RHP Neftali Feliz on the paternity list. June 23, 2017 Kansas City Royals signed free agent RHP Neftali Feliz. June 19, 2017 Milwaukee Brewers released RHP Neftali Feliz. June 14, 2017 Milwaukee Brewers designated RHP Neftali Feliz for assignment. January 19, 2017 Milwaukee Brewers signed free agent RHP Neftali Feliz. November 3, 2016 RHP Neftali Feliz elected free agency. January 6, 2016 Pittsburgh Pirates signed free agent RHP Neftali Feliz. December 2, 2015 RHP Neftali Feliz elected free agency. July 11, 2015 Detroit Tigers signed RHP Neftali Feliz. July 10, 2015 RHP Neftali Feliz elected free agency. July 4, 2015 Texas Rangers designated RHP Neftali Feliz for assignment. July 2, 2015 Texas Rangers activated RHP Neftali Feliz from the 15-day disabled list. June 6, 2015 Texas Rangers sent RHP Neftali Feliz on a rehab assignment to Round Rock Express. May 25, 2015 Texas Rangers placed RHP Neftali Feliz on the 15-day disabled list retroactive to May 20, 2015. Axillary abscess on right side. July 4, 2014 Texas Rangers recalled RHP Neftali Feliz from Round Rock Express. May 13, 2014 Round Rock Express activated RHP Neftali Feliz from the 7-day disabled list. April 24, 2014 Round Rock Express placed RHP Neftali Feliz on the 7-day disabled list. March 25, 2014 Texas Rangers optioned RHP Neftali Feliz to Round Rock Express. October 17, 2013 RHP Neftali Feliz assigned to Toros del Este. September 1, 2013 Neftali Feliz roster status changed by Texas Rangers. August 8, 2013 Texas Rangers sent RHP Neftali Feliz on a rehab assignment to Round Rock Express. August 2, 2013 Texas Rangers sent RHP Neftali Feliz on a rehab assignment to AZL Rangers. March 24, 2013 Texas Rangers placed RHP Neftali Feliz on the 60-day disabled list. Recovering from August 2012 Tommy John surgery. October 30, 2012 Texas Rangers activated RHP Neftali Feliz from the 60-day disabled list. July 20, 2012 Frisco RoughRiders sent RHP Neftali Feliz on a rehab assignment to Round Rock Express. July 16, 2012 Neftali Feliz assigned to Frisco RoughRiders from Round Rock Express. July 14, 2012 Neftali Feliz assigned to Round Rock Express. June 16, 2012 Texas Rangers transferred RHP Neftali Feliz from the 15-day disabled list to the 60-day disabled list. May 21, 2012 Texas Rangers placed RHP Neftali Feliz on the 15-day disabled list. Right elbow inflammation. May 21, 2011 Neftali Feliz roster status changed by Texas Rangers. May 6, 2011 Texas Rangers activated RHP Neftali Feliz from the 15-day disabled list. May 4, 2011 sent RHP Neftali Feliz on a rehab assignment to Frisco RoughRiders. April 23, 2011 Texas Rangers placed RHP Neftali Feliz on the 15-day disabled list retroactive to April 21, 2011. Right shoulder inflammation. October 16, 2009 RHP Neftali Feliz assigned to Toros del Este. August 2, 2009 Texas Rangers selected the contract of RHP Neftali Feliz from Oklahoma City RedHawks. June 6, 2005 Atlanta Braves signed free agent RHP Neftali Feliz to a minor league contract.